Today: A seasonal snack bar, inspired by a childhood favorite. Whatever happened to Cranberry Newtons? I haven’t seen them since probably the late 90s, so I have to assume they were discontinued. But my brain cannot make sense of that idea. It rejects it outright, in fact, because Cranberry was far and away the best Newton. Fig Newtons will always be a classic, but the Cranberry Newtons had zip, pizzazz, a level of cheek and personality that the fig version simply doesn’t possess. And strawberry, raspberry, apple, or whatever other versions they came out with over the years? Puh-lease. Though they all had that delightful signature soft-but-chewy cake outside, none of the others had that perfect balance of sweet and tart like cranberry did. Back in my high school days I would regularly put away a whole sleeve of Cranberry Newtons alongside a glass of milk for either breakfast or an after-school snack. I wouldn’t do that anymore anyway, but it still saddens me that I can’t. So I recently decided that I was going to relive those glorious days and make my own Cranberry Newtons for breakfast. More: DIY Dunkaroos, another childhood favorite that was discontinued. 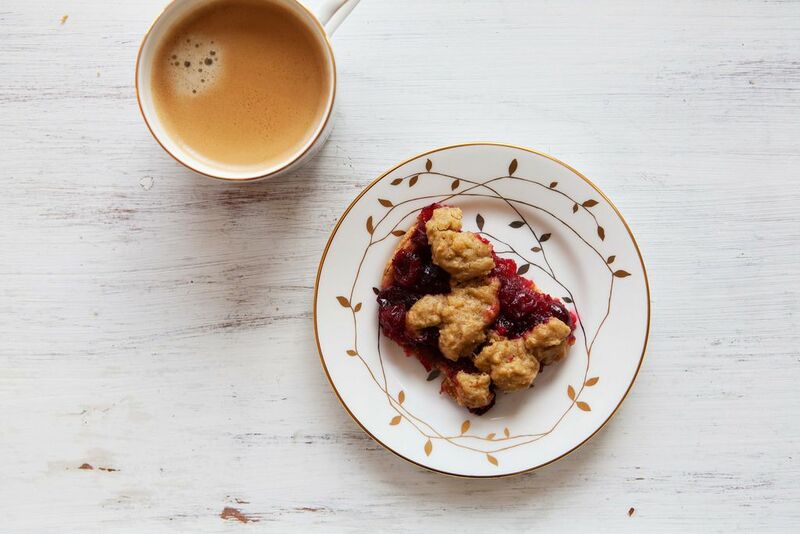 Some digging around the internet revealed a number of promising recipes for homemade Fig Newtons that could be adapted for a cranberry filling. But then I started reading more about the full shaping and baking process, and I balked. I enjoy working with finicky tart dough and the like, but to make a Newton, it appears you have to not only make a finicky, sticky dough but then also manipulate it enough to roll it and fold it and flip it and slice it into the flat tube shape around the filling that you’d expect from a Newton. And that seemed like too much work at the moment. So instead I took the Newton dough and a cranberry filling and combined them into something more like a cranberry streusel bar with a Newton flavor. Still a little finicky, but not nearly as much so, and with just the taste I was craving. Was it just like eating a sleeve full of Cranberry Newtons? No. But did it fill the Newton-shaped hole in my soul? Yes. With gusto. And if you think eating these for breakfast feels wrong because it’s like eating a cookie for breakfast, what I have to say to you is: It’s not a cookie. It’s a fruit Newton. Bar. A Bar-ton. Whatever. I love it. Perfect! Can't wait to make this for the family at thanksgiving time. 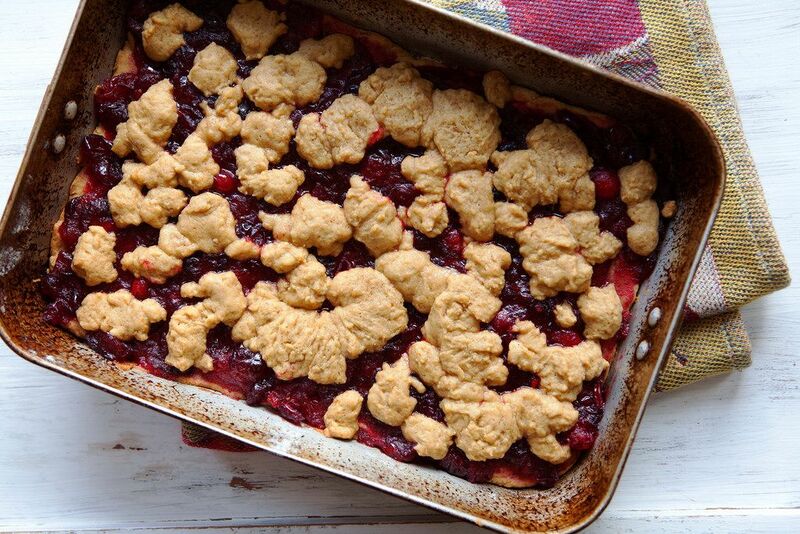 I love this cranberry crumble format. So much more appealing than a store bought Newton. I loved the cranberry newtons too and now you have saved me from a life of depravation! Yay you! Saving! !